I have begun the process of revamping my side projects. You might have seen the release of my VS Code color themes package 'rainglow'. So why has it taken so long to get back to these side projects? Well, you see, for me, the environment is everything. For the last few years, I've been living in houses and flats where I've had to work in the living room. I'll come home from work tired, sit on the sofa, and if I try to pick up my laptop for some side projects work I'll become distracted by the TV, or my SO playing games, or any of the distractions that are common in a room that's primary function is for relaxing and entertainment. When I first wrote all the books, colour schemes, libraries etc. I had my own study. I was much more productive there, and that's where I'm hoping to get back to. What's different? I moved house about a month ago to a place with an extra bedroom. I've been decorating this room as my own home office. A place where I can focus on the projects that I love. I know that it sounds like such a simple thing, but already I've spent some glorious time in this room focused on writing code and content that I love to hack on. Having a space devoted to work at home is wonderful, and after using the room for only a week, I'm feeling super motivated to pick up and revitalise some of my older projects. So what's that going to look like? Well first let's take a look at the plan for the colour schemes project. The color schemes project has had a bit of a rebrand. I've renamed it to 'rainglow', designed a temp logo, rewritten the generation code from scratch and already released the first new theme package. For now, I'll be focusing on the really popular editors. Sublime and atom are still great editors, so I'll be bringing support back to these platforms under the rainglow brand. They are actually really similar to theme, so that won't be a huge challenge. I'm going to try and package them up so that you can install them via package managers this time around. For now, I'll focus on syntax themes, and we might come back to the UI themes later. The JetBrains editors are heavy, but incredibly powerful. I use PHPStorm primarily in work. They are also an absolute nightmare to theme. Last time around I attempted it, but compatibility was poor. This time, I'm going to invest some time into rewriting these themes from scratch. It's going to be tough, but I hope that we'll get a better experience with rainglow for JetBrains. I'll be looking at adding new editors, and most of all, new color combinations to all the editors! I haven't created a new color scheme for a while, so I'm looking forward to this! I never stopped enjoying the act of writing, but it has been another casualty of losing a study room. These projects are not forgotten, and are high on the priority list. Code Smart is overdue for an update. 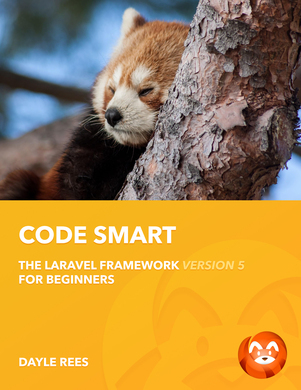 It's still pretty effective in bringing Laravel to the masses, but is missing a few chapters that I'd like to add, and requires some updates for the newer versions of the framework. This is work that is in progress, and I'm hoping to start shipping some of this new content soon. Naturally, these will be free updates, so if you already own the book, you'll see them arrive in your copy! For all those who own the book, and have been patiently waiting for an update. Thank you so much! You're the reason that I do this. I'm truly grateful for all the support. Just a bunch of other stuff! Once the two priorities above are out of the way. I'm hoping to revamp some of my older projects, tackle some new ideas, build some new and interesting learning resources. Just a bunch of 'stuff'. The TL;DR of this article is: I have some space to think, and now I'm back to building, writing, and fiddling with cool technology. Watch this space!